April 17, 2019 Los Angeles Dodgers sent LHP Rich Hill on a rehab assignment to Rancho Cucamonga Quakes. March 28, 2019 Los Angeles Dodgers placed LHP Rich Hill on the 10-day injured list retroactive to March 25, 2019. Left knee sprain. June 19, 2018 Los Angeles Dodgers activated LHP Rich Hill from the 10-day injured list. June 14, 2018 Los Angeles Dodgers sent LHP Rich Hill on a rehab assignment to Rancho Cucamonga Quakes. May 20, 2018 Los Angeles Dodgers placed LHP Rich Hill on the 10-day disabled list. Blister on left middle finger. May 8, 2018 Los Angeles Dodgers activated LHP Rich Hill from the 10-day disabled list. April 18, 2018 Los Angeles Dodgers placed LHP Rich Hill on the 10-day disabled list retroactive to April 15, 2018. Left third digit inflammation. May 16, 2017 Los Angeles Dodgers activated LHP Rich Hill from the 10-day disabled list. May 4, 2017 Los Angeles Dodgers sent LHP Rich Hill on a rehab assignment to Rancho Cucamonga Quakes. April 17, 2017 Los Angeles Dodgers placed LHP Rich Hill on the 10-day disabled list. Blister on left middle finger. April 16, 2017 Los Angeles Dodgers activated LHP Rich Hill from the 10-day disabled list. April 7, 2017 Los Angeles Dodgers placed LHP Rich Hill on the 10-day disabled list retroactive to April 6, 2017. Blister on left middle finger. December 5, 2016 Los Angeles Dodgers signed free agent LHP Rich Hill. 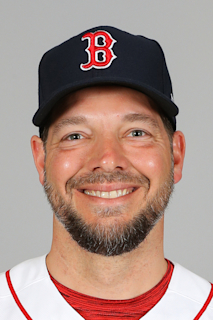 November 3, 2016 LHP Rich Hill elected free agency. August 24, 2016 Los Angeles Dodgers activated LHP Rich Hill from the 15-day disabled list. August 2, 2016 Los Angeles Dodgers placed LHP Rich Hill on the 15-day disabled list retroactive to August 1, 2016. Left middle finger blister. July 30, 2016 Oakland Athletics placed LHP Rich Hill on the 15-day disabled list retroactive to July 18, 2016. Left middle finger blister. July 2, 2016 Oakland Athletics activated LHP Rich Hill from the 15-day disabled list. June 27, 2016 Oakland Athletics sent LHP Rich Hill on a rehab assignment to Stockton Ports. June 9, 2016 Oakland Athletics placed LHP Rich Hill on the 15-day disabled list retroactive to May 30, 2016. Left groin strain. November 20, 2015 Oakland Athletics signed free agent LHP Rich Hill. November 2, 2015 LHP Rich Hill elected free agency. September 8, 2015 Boston Red Sox selected the contract of LHP Rich Hill from Pawtucket Red Sox. August 14, 2015 Boston Red Sox signed free agent LHP Rich Hill to a minor league contract. August 14, 2015 LHP Rich Hill assigned to Pawtucket Red Sox. June 24, 2015 Syracuse Chiefs released LHP Rich Hill. June 12, 2015 Syracuse Chiefs activated LHP Rich Hill from the 7-day disabled list. June 8, 2015 Syracuse Chiefs placed LHP Rich Hill on the 7-day disabled list. March 3, 2015 LHP Rich Hill assigned to Syracuse Chiefs. February 28, 2015 Washington Nationals signed free agent LHP Rich Hill to a minor league contract and invited him to spring training. October 30, 2014 LHP Rich Hill elected free agency. September 2, 2014 New York Yankees selected the contract of LHP Rich Hill from Scranton/Wilkes-Barre RailRiders. September 1, 2014 New York Yankees sent LHP Rich Hill outright to Scranton/Wilkes-Barre RailRiders. August 29, 2014 New York Yankees designated LHP Rich Hill for assignment. August 5, 2014 New York Yankees selected the contract of LHP Rich Hill from Scranton/Wilkes-Barre RailRiders. August 2, 2014 Scranton/Wilkes-Barre RailRiders activated LHP Rich Hill from the 7-day disabled list. July 26, 2014 Scranton/Wilkes-Barre RailRiders placed LHP Rich Hill on the 7-day disabled list. July 17, 2014 LHP Rich Hill assigned to Scranton/Wilkes-Barre RailRiders. July 16, 2014 New York Yankees signed free agent LHP Rich Hill to a minor league contract. July 9, 2014 Los Angeles Angels released LHP Rich Hill. July 5, 2014 Los Angeles Angels designated LHP Rich Hill for assignment. July 1, 2014 Boston Red Sox traded LHP Rich Hill to Los Angeles Angels for cash. April 1, 2014 LHP Rich Hill assigned to Pawtucket Red Sox. January 29, 2014 Boston Red Sox signed free agent Rich Hill. March 11, 2013 Cleveland Indians selected the contract of LHP Rich Hill from Columbus Clippers. February 7, 2013 Cleveland Indians signed free agent LHP Rich Hill to a minor league contract and invited him to spring training. February 7, 2013 Rich Hill roster status changed by Columbus Clippers. November 30, 2012 LHP Rich Hill elected free agency. September 1, 2012 Boston Red Sox activated LHP Rich Hill from the 60-day disabled list. August 19, 2012 Portland Sea Dogs sent LHP Rich Hill on a rehab assignment to Pawtucket Red Sox. August 17, 2012 Rich Hill assigned to Portland Sea Dogs from GCL Red Sox. August 13, 2012 sent LHP Rich Hill on a rehab assignment to GCL Red Sox. July 6, 2012 Boston Red Sox transferred LHP Rich Hill from the 15-day disabled list to the 60-day disabled list. June 10, 2012 Boston Red Sox placed LHP Rich Hill on the 15-day disabled list retroactive to June 9, 2012. Left forearm soreness. April 27, 2012 Boston Red Sox activated LHP Rich Hill from the 15-day disabled list. April 20, 2012 Salem Red Sox sent LHP Rich Hill on a rehab assignment to Pawtucket Red Sox. April 13, 2012 Rich Hill assigned to Salem Red Sox. April 7, 2012 sent LHP Rich Hill on a rehab assignment to Greenville Drive. April 4, 2012 Boston Red Sox placed LHP Rich Hill on the 15-day disabled list retroactive to March 26, 2012. Recovering from June 2011 Tommy John surgery. February 21, 2012 Boston Red Sox selected the contract of LHP Rich Hill from Pawtucket Red Sox. December 13, 2011 Boston Red Sox signed free agent LHP Rich Hill to a minor league contract and invited him to spring training. December 13, 2011 Rich Hill assigned to Pawtucket Red Sox. December 12, 2011 LHP Rich Hill elected free agency. October 31, 2011 Boston Red Sox activated LHP Rich Hill from the 60-day disabled list. June 27, 2011 Boston Red Sox transferred LHP Rich Hill from the 15-day disabled list to the 60-day disabled list. June 3, 2011 Boston Red Sox placed LHP Rich Hill on the 15-day disabled list retroactive to June 2, 2011. Left elbow sprain. May 5, 2011 Boston Red Sox selected the contract of LHP Rich Hill from Pawtucket Red Sox. December 16, 2010 Boston Red Sox signed free agent LHP Rich Hill to a minor league contract and invited him to spring training. December 16, 2010 Rich Hill assigned to Pawtucket Red Sox. October 8, 2010 Boston Red Sox sent Rich Hill outright to Pawtucket Red Sox. September 13, 2010 Boston Red Sox selected the contract of Rich Hill from Pawtucket Red Sox. June 30, 2010 Boston Red Sox signed free agent LHP Rich Hill to a minor league contract. June 30, 2010 LHP Rich Hill elected free agency. June 30, 2010 Rich Hill assigned to Pawtucket Red Sox from Boston Red Sox. April 6, 2010 LHP Rich Hill assigned to Memphis Redbirds from St. Louis Cardinals. January 26, 2010 St. Louis Cardinals signed free agent LHP Rich Hill to a minor league contract and invited him to spring training. October 30, 2009 Baltimore Orioles sent Rich Hill outright to Norfolk Tides. September 1, 2009 Rich Hill roster status changed by Baltimore Orioles. July 29, 2009 Baltimore Orioles placed LHP Rich Hill on the 15-day disabled list retroactive to July 28, 2009. Left shoulder inflammation. May 16, 2009 Baltimore Orioles activated LHP Rich Hill from the 15-day disabled list. April 29, 2009 Frederick Keys sent LHP Rich Hill on a rehab assignment to Norfolk Tides. April 23, 2009 Baltimore Orioles sent LHP Rich Hill on a rehab assignment to Frederick Keys.